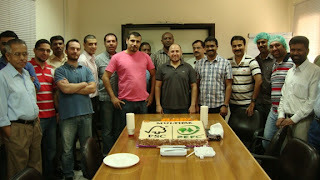 Multipak’s accredited as environmentally-friendly and responsible paper packaging manufacturer. 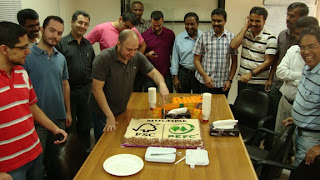 The flexible packaging manufacturer in Jeddah, Saudi Arabia received FSC/PEFC ‘Chain of Custody’ (CoC) certification, indicating that Multipak’s paper packaging products originate from sustainably managed forests. Multipak is committed to promoting sustainable forest management and the usage of non-genetically modified trees. Forest Stewardship Council (FSC) and Program for the Endorsement of Forest Certification (PEFC) are both large international not-for-profit, non-governmental organizations dedicated to promoting Sustainable Forestry Management (SFM) and responsibility for the world’s forests. 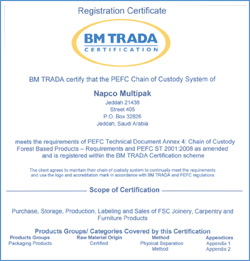 The CoC certification, obtained by Multipak, provides a framework of requirements for tracking wood or wood-based certified material from the forest to the final product to ensure that it originates from certified forests. 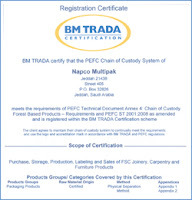 The Multipak audit, which took place on 20 January 2011, covered the company’s conversion process, traceability system, warehousing (physical separation systems), and related procedures. 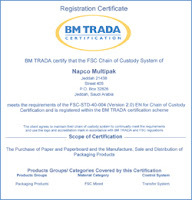 Furthermore, the audit performed by BM Trada auditor Tobin Gordin ensured that Multipak purchases FSC and PEFC accepted materials. 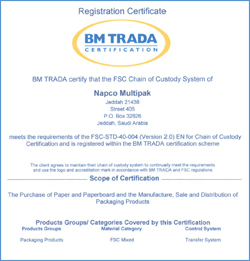 The certification signifies that Multipak makes responsible purchasing decisions, works with approved paper sources and engages in ethical business practices, in line with the long time mission of mother company INDEVCO Group: ‘what is good for the community is good for the company’.